MIAMI, Jan. 28, 2014 – Burgeoning public relations and marketing firm RockOrange has added two top influencers to its growing team of RockStars, a move that bolsters the agency’s capabilities to provide multicultural and digital marketing services. Mari Santana has joined RockOrange as the agency’s vice president of multicultural marketing and brand development, and Sergio Claudio joins the agency as vice president of digital innovation and strategy. One of People en Español’s “25 Most Powerful Women for 2012,” Santana comes to RockOrange after more than 15 years working with Disney Destinations and Parks & Resorts. At Disney, she launched theme parks, a cruise line, shopping and entertainment centers, national tours and dozens of attractions, generating unprecedented coverage from the nation’s top media outlets. An award-winning public relations veteran, her career also includes work in broadcast journalism, with eight years in the general market at WPIX New York, and almost 10 years at WNJU-TV Telemundo New York, where she anchored news, produced television specials and news series, which garnered her numerous awards and an Emmy nomination. Claudio comes to RockOrange with an extensive 13-year career of building integrated campaigns for some of the top brands around the world. His previous work has generated more than $500 million for global clients. Most recently, Claudio served as interactive creative director for Omnicom Group’s Zimmerman Advertising, leading the creation and execution of web, mobile and social experiences for more than 20 brands, including White Castle, Party City, Carfax, Toys ‘R Us, Pep Boys and Blue Cross Blue Shield. He brings RockOrange valuable expertise in user experience, web design and digital marketing to create impactful experiences that engage millions of users around the world. 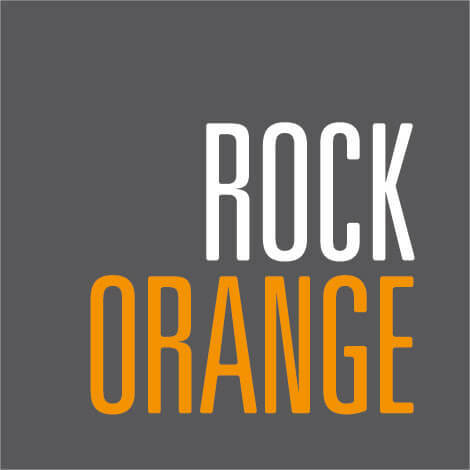 RockOrange is a full-service communications firm specializing in traditional PR, digital and social media, corporate communications, brand building and talent management, targeting both general market and Hispanic audiences. Experience includes work with some of the world’s most iconic brands in a variety of industries, including franchising businesses, music and entertainment, cruise lines, hotels/resorts, resort destinations, culinary, automotive, pharmaceuticals, banking/financial institutions and not-for-profit organizations.